Parsley, chives, and thyme, oh my! Many recipes require herbs like this for everyday meal prep. Even for the novice cook, it’s important to include spice in your recipes for enhanced flavor and aroma. It might be a surprise to many, but growing these common herbs is a simple task that even the gardening-challenged can accomplish. Whether you are growing herbs indoors, including them in an established garden, or starting from scratch, here are some tips for herb gardening and how to use them in your home. Growing herbs for use in your kitchen is a fulfilling and healthy idea. If your main idea behind planting herbs is for use in your kitchen, consider planting a pesto garden, spaghetti garden, or an onion soup garden (sounds weird I know… But it’s a real thing). This involves finding a recipe that suits you and growing the plants required for that recipe. This ensures you will always have fresh ingredients available for your chosen recipe. This isn’t as cumbersome as it sounds for simple garden recipe ideas. Each recipe should require around five plants all of which have similar growth patterns. If you don’t plan on making a recipe garden, it is just as useful planting herbs that you or your family uses most often. Herbs like mint and thyme are spreading plants and you will probably end up with a lot of it. This is not necessarily a bad thing and you can store it or give it to family members to use. There are a few ways to plant your herbs, but you need to decide which way works best for you and your surroundings. You will usually plant your herbs in containers or in the ground and decide on having them inside or outside. Be sure to research your preferred herb types to decide on the most effective way to plant them. Remember to buy containers that are big enough for root structures. 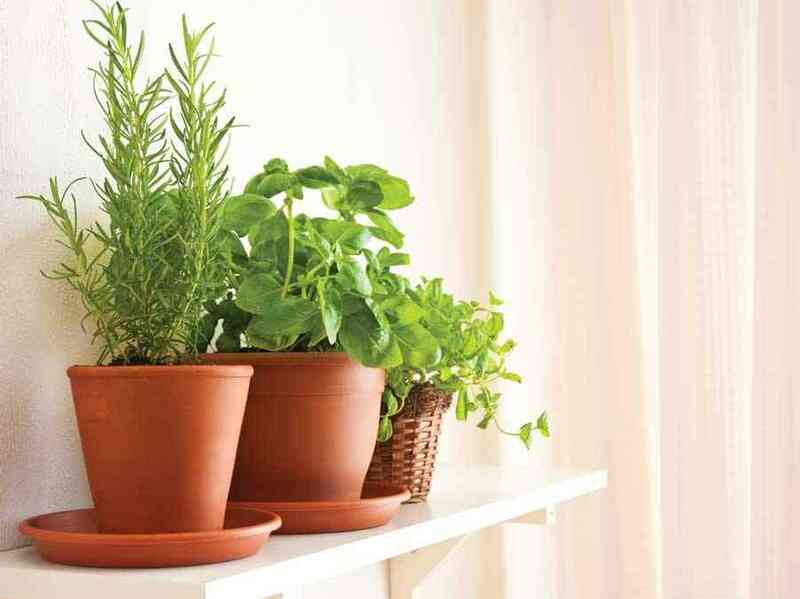 Soil and watering becomes even more essential when growing your herbs indoors. Don’t ignore the need for proper drainage or the preferred amount of sunlight. You may need to move your indoor plants outdoors during certain months to take advantage of optimal sunlight. Be wary of implantation. Some herbs, like dill, have problems with implantation and may die. Outdoor gardening requires you to be careful of spacing and soil. You won’t have to worry about drainage, but you will have to tackle pest issues. Parsley is a favorite food of the whitefly, for instance. Be aware of the spreading plants I mentioned earlier as well or you might end up with a garden full of mint. Research each herb you want in your garden for optimal growth. 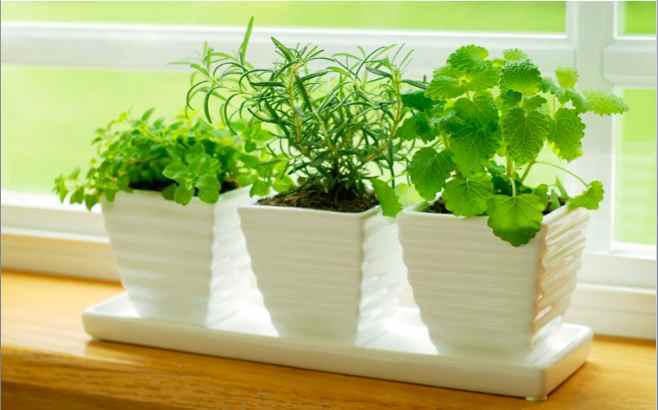 Planting herbs in your home is a rewarding experience, but just like anything else it can be a challenge for beginners. Here are some tips that seasoned herb gardeners have learned by trial and error. Proper soil: One common issue with novice gardeners is not using nutrient rich soil. This is not the place to pinch pennies. Your herbs will thank you. Growing from seed: Not all of your herbs grow best with seeds. Rosemary, for instance, is easiest to grow from a cutting. Research your herbs! Watering: When our only experience with plants is houseplants, it’s easy to water your herb like you water your ficus. Your herbs usually need water daily. Pruning: Cut early and often for pruning! Many new gardeners are nervous about pruning their herbs, but they need it so don’t be afraid to give them a nice haircut. Don’t give up! : Don’t let a few issues get you down. With a little practice you will have a flourishing herb garden and your own tips to share. Do you have a herb garden at your home? Please tips and tricks of maintaining them with our readers. Chelsy is a writer from Montana who is now living in Boise, Idaho. She graduated with her journalism degree from the University of Montana in 2012. She enjoys spending time in her garden, playing fetch with her dog, and spending hot days in the shade reading a book. Follow her on Twitter!